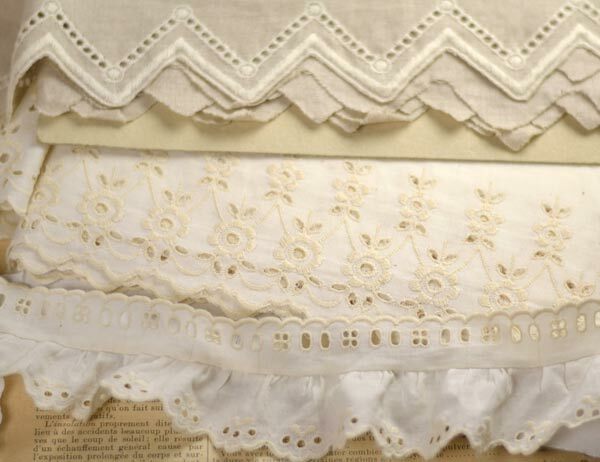 Lace, guipure, these so fine and delicate materials remain timeless. This is the time to offer you tutorials and inspirations we have gleaned here and there on pinterest. pinterest. - decorate small accessories: scarves, stoles, headband, cases, bags, etc. Lingerie lace, Calais lace, elastic lace, guipure, openwork scales, a large variety is available for you if, like us, you love the lace! ♦ Presenting an artist, an exhibition related to sewing or knitting. As a community site, the big advantage of T&N is to offer an account where you can post your sewing & knitting projects. You add a title, an image, a link to your blog and other people in the community can interact with you via comments and private messages. Your project is then referenced in the gallery. Each member may vote and may become the "popular of the week" project. 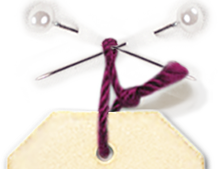 The website also contains very active sewing and knitting groups. Notably by region, allowing you to organize or to meet other real dressmakers or knitters in your corner. These groups can also allow you to answer your questions about sewing or knitting technical problems. The + : Thread&Needles is a very complete website as you will understand. It allows to virtually or actually meet bloggers through project presentations. Artesane is a new website created by the talented blogger Annie Coton . The principle is to offer sewing and knitting online classes and it will increase with arts and crafts. Several recognized teachers therefore propose a course related to their field of choice. The platform Artesane is beautiful and well done. Most courses are paid (and that's normal considering the work) but you will also find free lessons. Many videos workshops will emerge during 2016 have to watch closely! The +: Artesane also contains a nice "newspaper" including clear tips on cloth or special sewing techniques, in particular. The illustrations are very well done and the approach discusses in depth techniques. This blog was created in 2015 by a young sewing instructor Margaux. Couture Débutant, is first to overcome the issues and redundant problems of its sewing beginners students. It notes that the problems of sewing beginners are always the same and there are very few site dedicated to the first steps. ♦ A Youtube channel offering basis support for amateur fashion designers. The +: The universe of its blog is cool and pleasant. It makes you want to put it right away now even if you were born with two left hands, with these step by step tutorials, you are sure to get there! This vintage and quirky look blog is full of good sewing ideas with supporting tutorials. There are as well many basic sewing lessons as customization DIY. There you will find a wealth of information to choose your sewing machine, sewing a particular fabric, but also make everything simple accessories like a headband, a collar, etc. The +: the blogger's humor. The articles, both for sewing in mood editorial or general web articles are really funny! Petit Citron is a small community sewing site. It was created by Perrine Colignon in 2007. She wanted to set up as a virtual sewing club. The site offers in image sewing techniques, but also free simple patterns. To participate, send your projects, technical ideas, etc. Just create an account on the site. The +: the Petit Citron blog is full of tips and inspirations for sewing. It is a mine of information interesting when you start! What to do with trapilho? Do you know the trapilho? 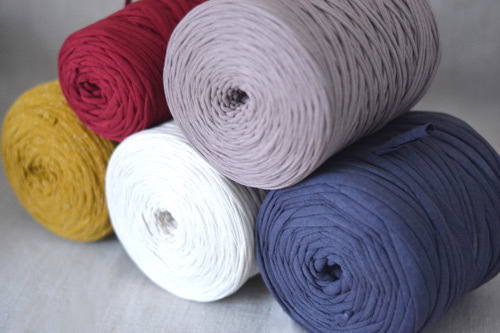 These are big balls of XXL cotton threads which allows to make all kinds of baskets, pouches, carpets in no time! To see what these balls look like balls, find our trapilho in big or mini size. 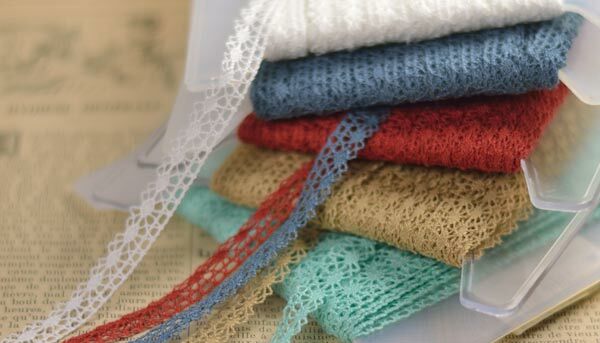 The trapilho is actually a thread coming from recycling called mesh or jersey (fine knitted fabric for t-shirt). This recycling is done in Europe, mainly in Portugal. Please, you also, send us your trapilho achievements photos, we will be happy to publish them on this blog. When you love to sew, sometimes we also like to dress. With the development of smartphones and associated applications, there are now tools that fits all situations, including help to create the look, but also to sort his things and plan her outfits. We wanted to share with you this find which can be handy for seamstresses. There simply to shoot each of your room, to remove the background, through the app, to keep only the essentials: clothing. Then store them virtually in your cupboards. It may take time, but can also save later. In this way, we have a very clear vision of our dressing. We can find parts not worn for ages, decide to give some ... In short, it allows you to make a good sorting! With all the parts, the application can create looks, ie overlaying multiple pieces, either up, down, dress, jacket, bag or shoes to test outfits. It can be seen visually and rapidly that some clothes are finally together well and then plan on a dedicated calendar each outfit. It is indeed handy to avoid wasting time in the morning, you have just to plan your looks ahead. Some Additional tools such as statistics, let you know how many times you have worn such clothes and "cost-per-wear" ie its depreciation (garment cost / the number of times worn). But also, the number of clothing you have, the top 10 most worn clothing and less worn! There is also the facilitator for suitcase, you choose the outfits that you want and it gives you all the clothes and accessories to be introduced for the holidays! Stylebook seems very convenient to organize the fashionistas' wardrobe but also for keen on sewing. It helps to know what we wear in our clothes as hand-made and those we rarely put on (if ever!). And thus to have a clearer vision of what we like to wear really, and maybe sew pieces more suited to our usual outfits. Result: more optimization of our hand-sewn dressing! And you, what do you use to organize your "me-made" dressing? The application is available on the appstore currently 3.59 € for men and women. Summer is on our doorstep which means: wedding season! For the occasion, we prepared a small pinterest array of different decor ideas and tutorials found here and there on the net and on pinterest of lace, ribbons, wool, creations for weddings. Whether for table decoration, the camera space, the wedding hairstyle or the bridal bouquet, everything is there to make an hand-made decoration! When you get into sewing, we quickly need a space to exercise your passion. For our sewing workshop, we dream of a separate room or when you do not have this opportunity, a part of the corridor, a piece of living ... with a table specially dedicated to the sewing machine, another larger to copy, cut patterns and closets, drawers to store fabrics and materials. To give you ideas, we glean here and there fifty examples of sewing workshops as well as good storage ideas for sewing threads, fabrics, ribbons, lace and all equipment! Early as 1870 the men had the idea and tried to use casein, milk and cheese major component , as a plastics material. After testing more or less unsuccessful, a French chemist, in the early twentieth century, Jean-Jacques Trillat, found the magic formula: he had the idea to bathe the casein paste in a formalin solution. simple and environmentally friendly method of production. It is named galalith (from greec gala — milk — et lithos — stone). 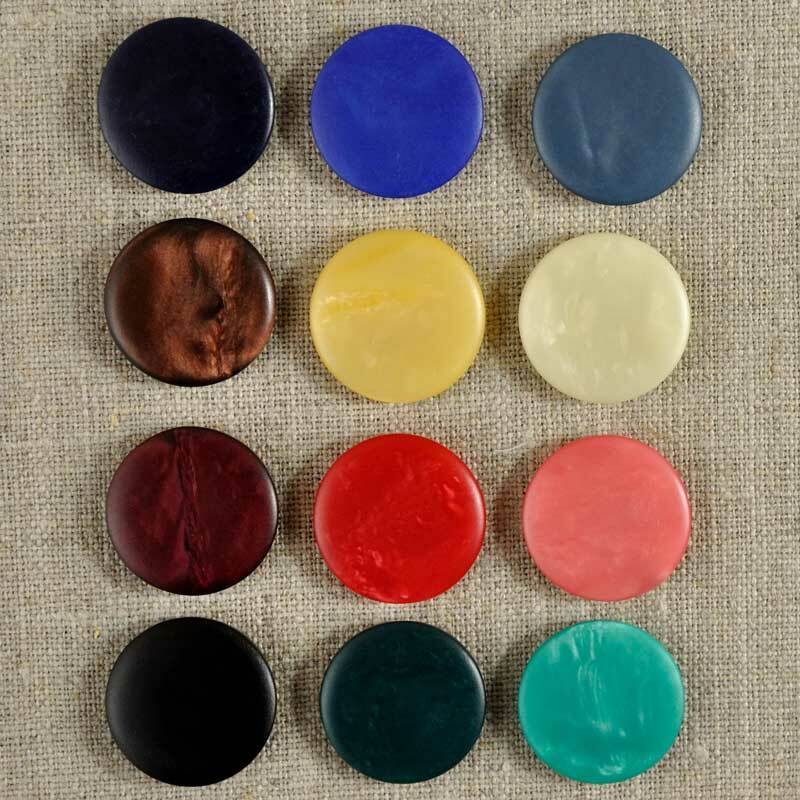 This is why we can offer you in limited quantities, a collection of casein buttons. Enjoy, there will not be for everyone! To complete your culture on the industrial history of casein, we invite you to browse this document (from Société Chimique de France) extremely accurate.